Job – everyone needs one but no one knows how to handle it. An employee, whether a junior or a senior, in a company – any company – finds himself/herself in the middle of nowhere more often than not with deadlines, workload and nagging superiors who are apparently deadlier than the King Cobra. When an employee enters the labyrinthine system known as the corporate world, everything from excitement to aspirations is at its zenith. It is only later that the employee realises that the corporate world is as murky (if not murkier) as the world of politics where the belief that dreams will be fulfilled is equivalent to the belief that the hero in the masala Bollywood film can beat up 50 armed baddies without removing his shades. Time, however, is precious, and it may be too late for the ‘loyal corporate warhorse’ to realise that that his organisation sees him as a slave who wouldn’t complain. It is this precious time that the reader will save with ‘Job Be Damned’, not to mention the invaluable corporate lessons by author Rishi Piparaiya. Having gone through the grind of the world he describes (the author has held leadership positions in some of the world’s most well-known MNCs), Piparaiya can be called the right person to warn the dreamy-eyed management trainee of the treacherous terrain he is headed for where a slight mistake could mean tumbling down into an abyss of oblivion. Piparaiya holds nothing back and immediately thrusts the reader into the roaring corporate ocean with so much as an instruction as to what is what and who is who. Like a smart, seasoned and no-nonsense instructor, Piparaiya guides the reader how to steer clear of the whirlpools, navigate past the typhoons and defend oneself from the sharks that infest this ocean. 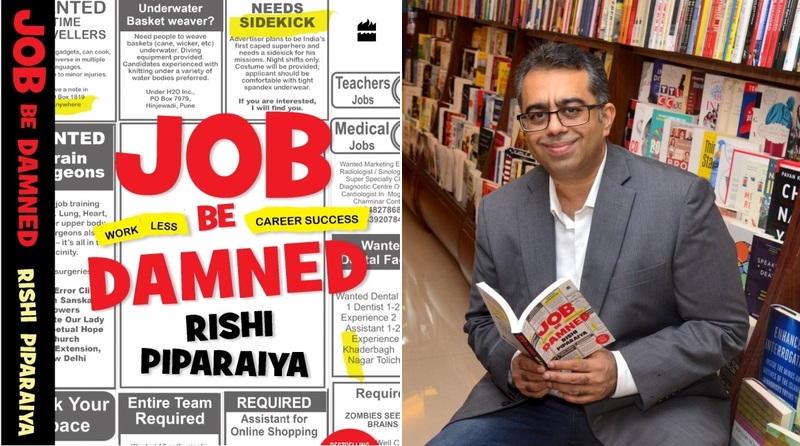 Divided into six sections consisting of 20 chapters of absolutely incredible insights into the ‘real’ corporate world, ‘Job Be Damned’ is like a fun-filled lecture that transforms the ‘seeker of truth’ into an enlightened sensei once it is over. The book covers everything from the point of preparing one’s CV to the point where the employee gets sacked (if he himself doesn’t read the signs and resign first). But it makes no attempt in turning the reader into the ‘best employee’ because, according to Piparaiya, the hard reality is that the ‘best employee’ hardly ever makes it to the top. So the best solution is to ensure how to play a very long innings without hitting a century. Supported by unforgettable anecdotes and interesting case studies as examples, ‘Job Be Damned’ leaves no stone unturned in presenting before the reader the kind of situations an employee encounters in an organisation. 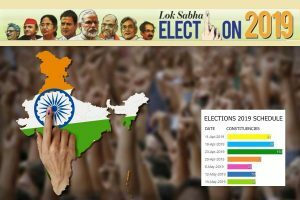 Like Sun Tzu who wrote the ‘Art of War’, Piparaiya draws every possible scenario that can happen on the corporate battlefield and also describes the ways to ensure that the scenario is always in favour of the employee. How to twist expectations (from you), how to manage the boss, how to manipulate juniors, how to handle meetings, how to shoot emails effectively (and what to write), how to avoid the closest competitor in the company, how to shift blame and shrug responsibilities but take credit for successes – these are just some of the many questions that have been answered, explained and illustrated in simple language and style. The book will keep the reader hooked while he analyses his own situation in the company he works in. And the book is not just about the entrants; it is also equally relevant for the middle managers and the men/women at the top who need the right kind of guidance to chart their career in such a way that post-retirement they don’t have to look back to their working days with remorse. ‘Job Be Damned’ is therefore a must-read for everyone from the management trainee about to plunge into the corporate ocean to the CEO with an axe hanging over his head. What is especially noteworthy is that everything in the book can be applied to worlds beyond the corporate, making the wisdom in ‘Job Be Damned’ much deeper.